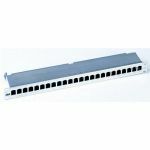 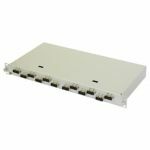 Tripp Lite's 24-Port Cat5e Feed-Through patch panel provides patching without punching down bulk wire to the back of the panel. 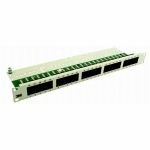 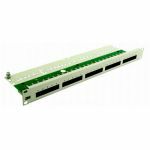 Fully meets or exceeds Cat5e specifications - works with USOC, T568A, and T568B wiring. 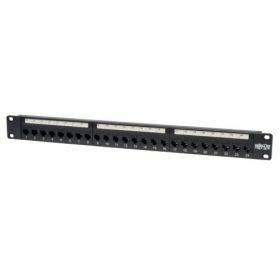 19" width mounts easily in 2-Post Relay Rack, or a Wall-Mount Hinged Rack. 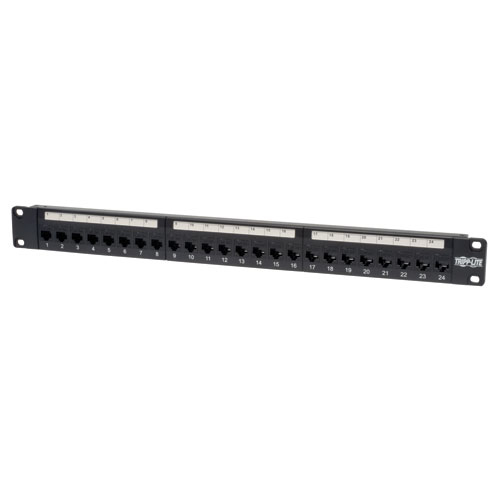 Detachable cable management bar keeps patch cables neat and tidy on the back of the panel.